A grinch is stealing packages in San Jose, and the thief isn’t waiting for them to be delivered to doorsteps. Yet another mail truck was broken into last week in the city's Willow Glen neighborhood. It's the 17th such break-in in San Jose since spring. This time, it means some people may not be getting their Christmas presents. The latest break-in occurred near Kingman Avenue, and now as many as 100 people in the neighborhood have been told their packages may have been stolen. 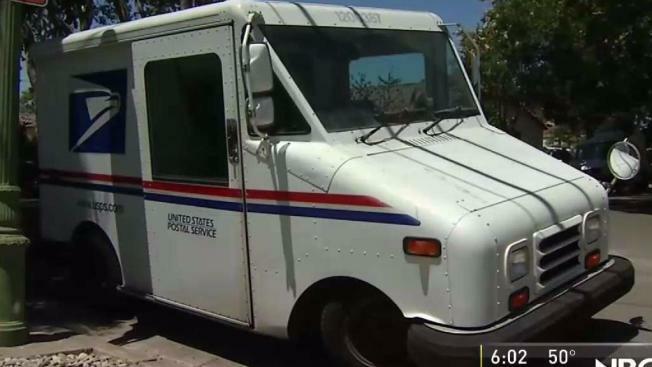 Last Wednesday, someone broke into a locked mail truck parked on Deland Avenue, near Kingman, in San Jose. The suspect stole four tubs filled with small packages. Neighbor Juanita Correa said she's most worried someone took a package critical to her health. "I get my medicine delivered in the mail, and packages and bills," she said. "I don't want someone to get it." Correa and dozens of her neighbors received a notice from the postal service alerting them about the theft. Most of the thefts have occurred in Willow Glen and in the neighborhood near Saint James Park downtown. When asked what is being done to try to prevent the thefts, postal Inspector Jeff Fitch said they are bolstering security. "We are actively investigating this recent break-in and all the others," Fitch said. "This is a federal offense punishable by five years in jail and $250,000 fine. This is not something we are taking lightly." Unlike previous break-ins, the latest theft involved only packages, not letters or cards. Postal inspectors said residents who received one of their notices and didn't get an order should notify them, and if they catch the criminals, they will try to recover the stolen items.